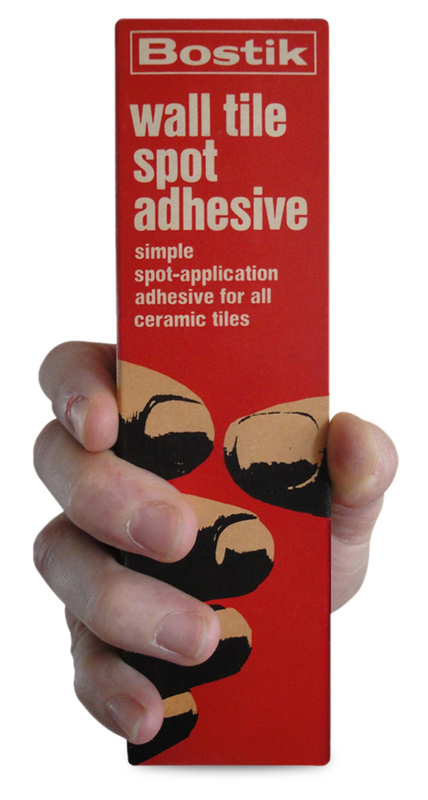 Handy packs for the handyman. Workmanlike packaging designed for the home improvement enthusiast. 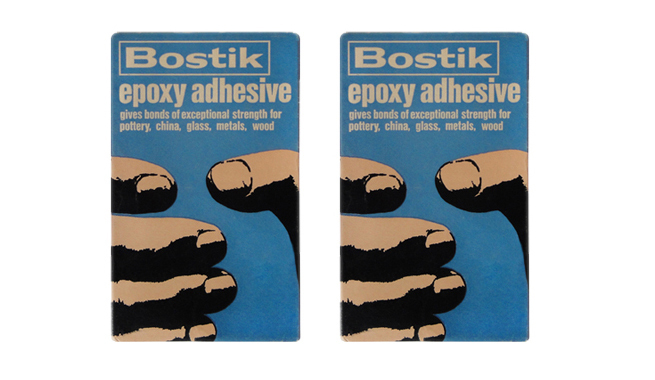 In 1969 we designed a suite of packaging for the Bostik range of professional quality adhesives and sealants aimed at the non-professional market. A forerunner in the trend towards DIY, Bostik recognised people’s enthusiasm for modernising their homes and doing the work themselves to save money. Before DIY stores became a feature of most towns and cities, people would buy the materials and equipment they needed from hardware stores. The male of the house adept at decorating, tiling and building repairs took on the role of a handyman, and home improvement became a widespread phenomenon in 1970s Britain. 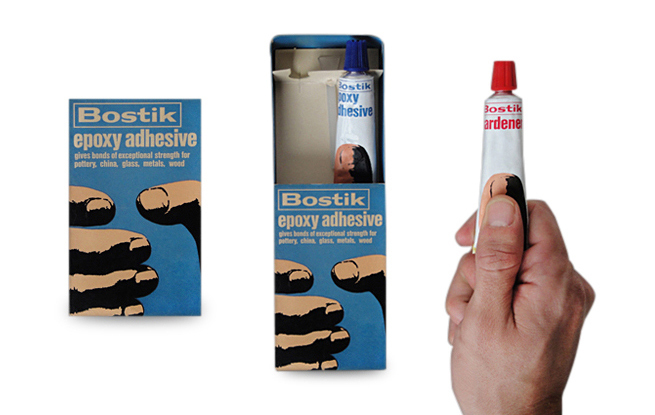 So we called the Bostik products the Handyman range. We had to reflect this idea in the packaging design and showed each product held in a hand. This created a visual sequence from taking the product off the shelf in store to working with it at home, associating the job to be done with the purpose of the product in the pack. 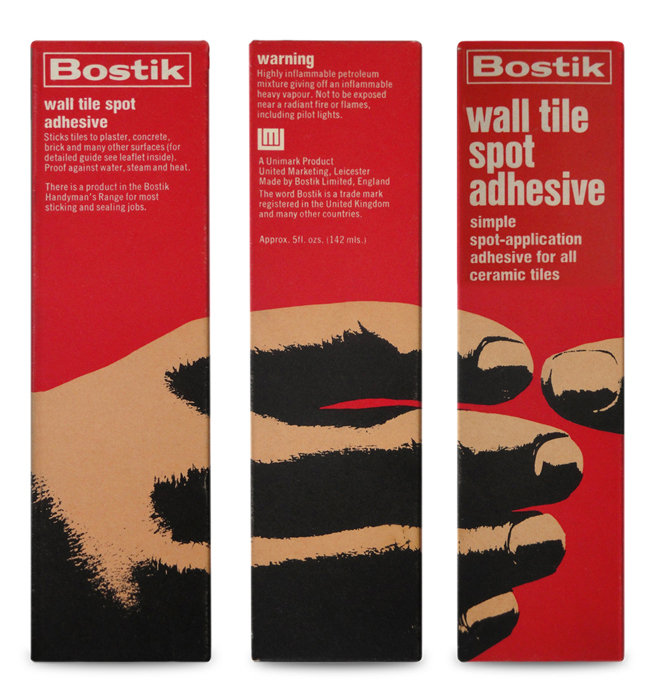 Alex Maranzano was one of the designers and it was his hand photographed for the packaging graphics. He had only recently married and refused to take his wedding ring off for the photography shoot, deciding it was preferable to put up with jokes about being superstitious than perhaps tempt fate. He recalls the photographs had to be retouched to achieve the desired look, which also involved converting half-tone photographs to line art to create a bold effect when printed. This dramatic pre-Photoshop rendering of a black and white hand image on the brightly coloured Handyman packs in red, orange, blue and green was certainly eye-catching in store. Things have moved on – the handyman is now a DIYer, male or female, and the popularity of DIY stores suggests the desire to improve our homes using our own skills is stronger than ever.